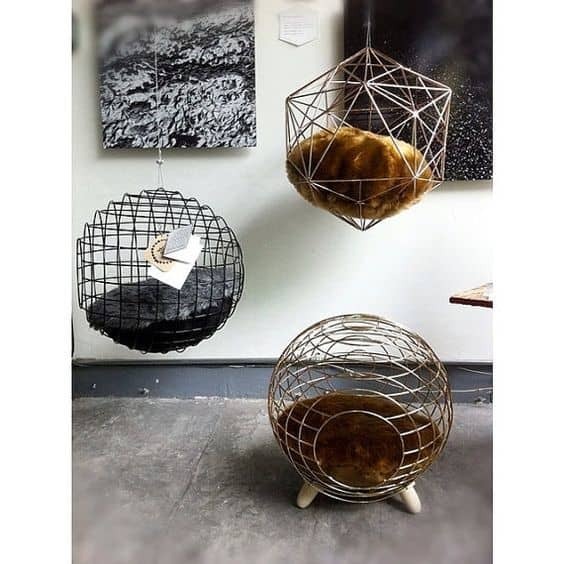 Create a home that is pet friendly without giving up your design preferences with these pieces. 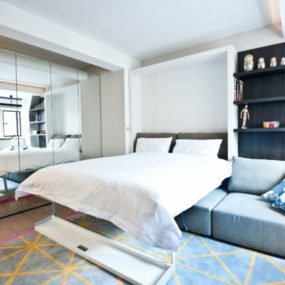 This list of 25items shows you can have a stylish and beautiful home while still giving your cats a home they also enjoy. 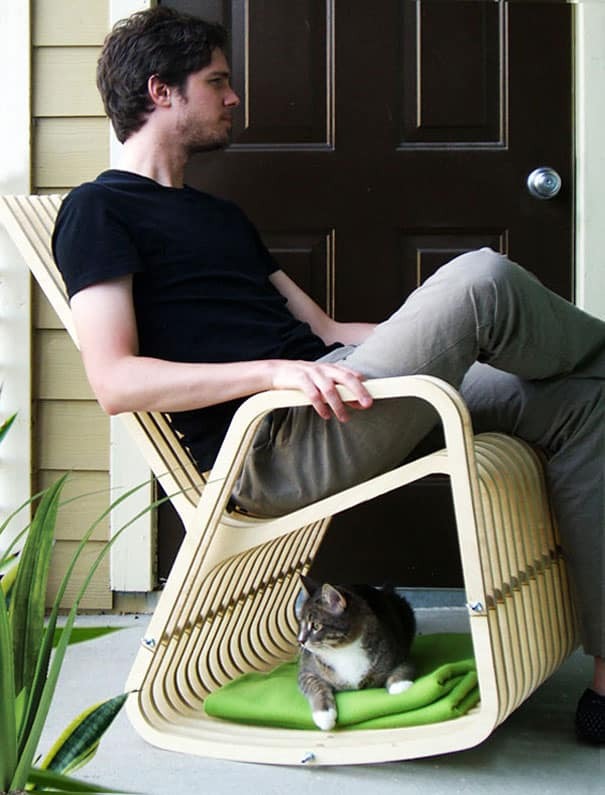 With the right pieces of cat furniture, you can actually contribute to your home’s look and feel. 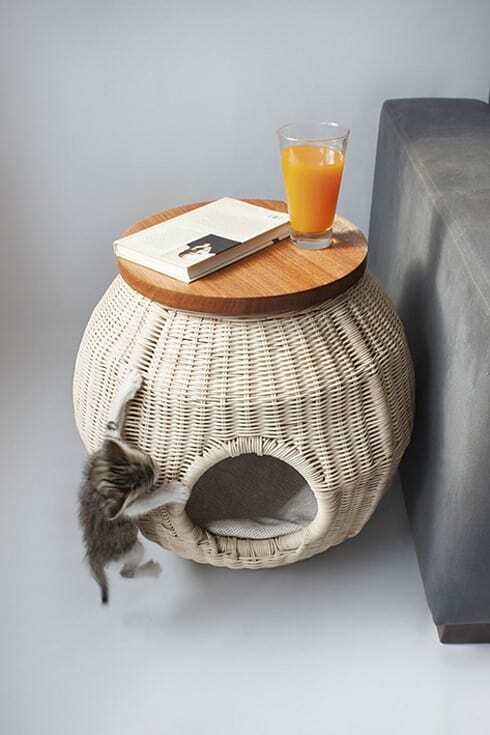 Keep your home stylish with these 25 pieces of cat furniture. Do you have a cat tree you hide when visitors come over? This subtle design looks like a shelf but is inviting to your pets. Hayneedle designed this cat tree to be beautiful and functional. 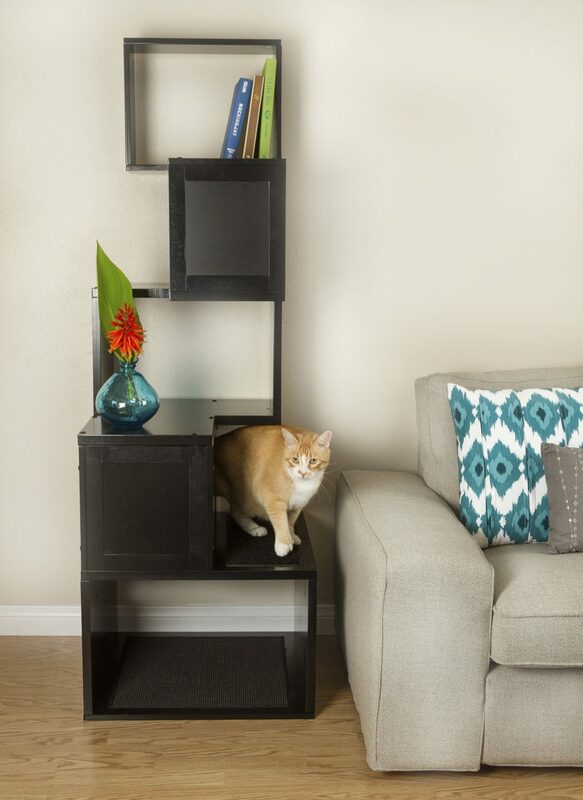 Wayfair’s Modern Cat Tree has areas for your cat to use and spaces for décor or books. A modular design is great for climbing, relaxation, and storage. Replace the boring end table with this cat tree. 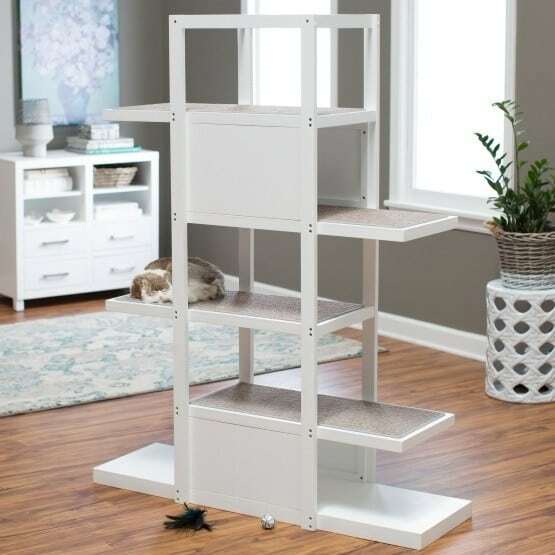 For families that don’t want a large piece in their home, Kitty Mansions designed this medium sized cat tree blends in with your kid’s toys or fits in a bonus room. Your cat can hide out, climb, and scratch while you don’t have a big eyesore sitting in the middle of your curated home décor. Instead of TETRIS, Wayfair invented KATRIS. 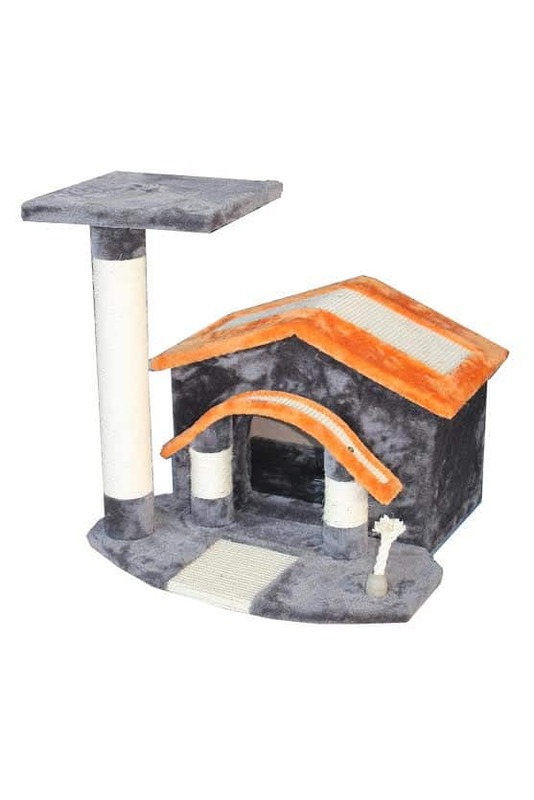 Buy as few or as many pieces you want to design an obstacle course or cat tree for the bored indoor cat. In this photo, the modular segments are hung on the wall as shelves. You can also stack these to create a custom cat tree which sets on the floor. A great way to incorporate your cat into your home without sacrificing on style is to add furniture they can use too. 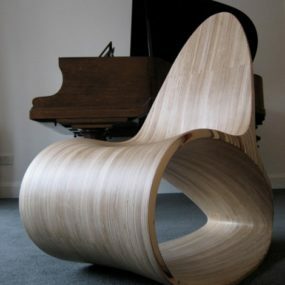 This rocking chair from the RocketNews blog works for a sunroom, living room, or bonus room. 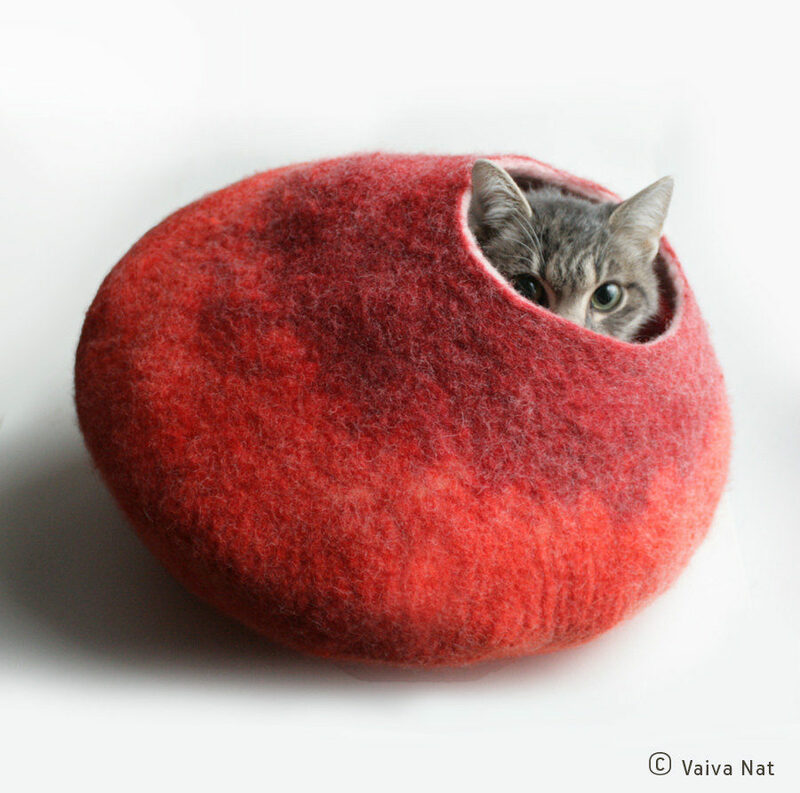 Add a blanket or a cushion for your cat to use. Do you and your cat love certain TV shows? 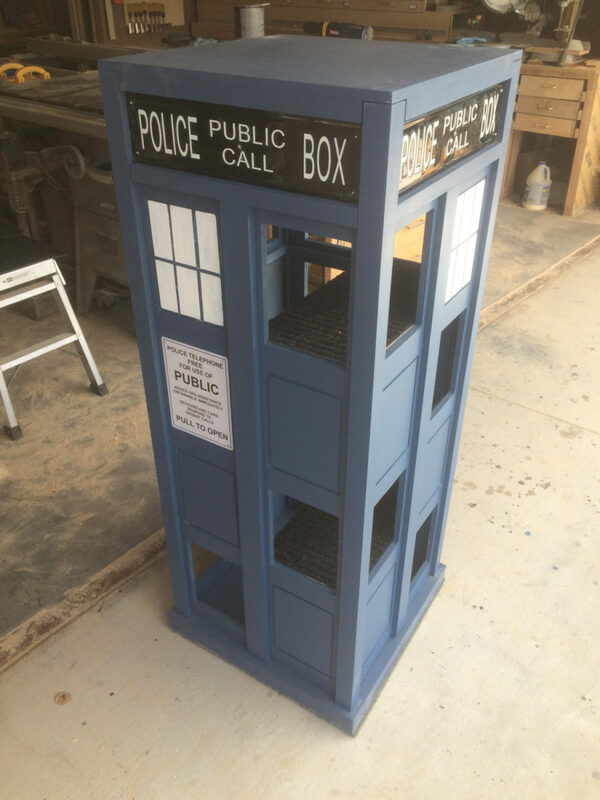 Show off your passions with unique, one-of-a-kind cat trees like this Dr. Who cat tree from Etsy. 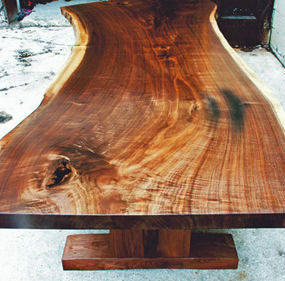 While this piece may not be perfect for every living room, it has the potential to be a true conversation item in your television room or spare bedroom. 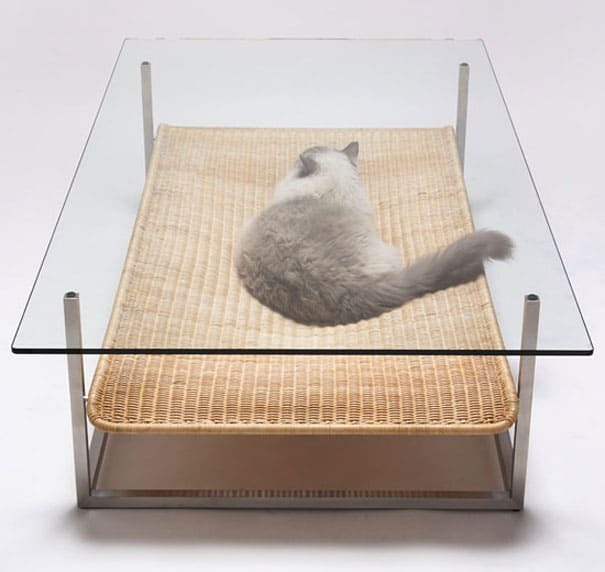 Get rid of a coffee table that collects useless books and magazines by upgrading to this metal and glass piece of cat furniture. Your cat gets the benefit of relaxing in the middle of your home’s action while you decrease the clutter in your home. Cats like to feel safe and protected against the world when they are sleeping. Add a pop of color without creating an eyesore with this one-of-a-kind bed from Etsy. Choose the color you most prefer to contribute to your home’s design. Every couch needs an end table on one or both sides. 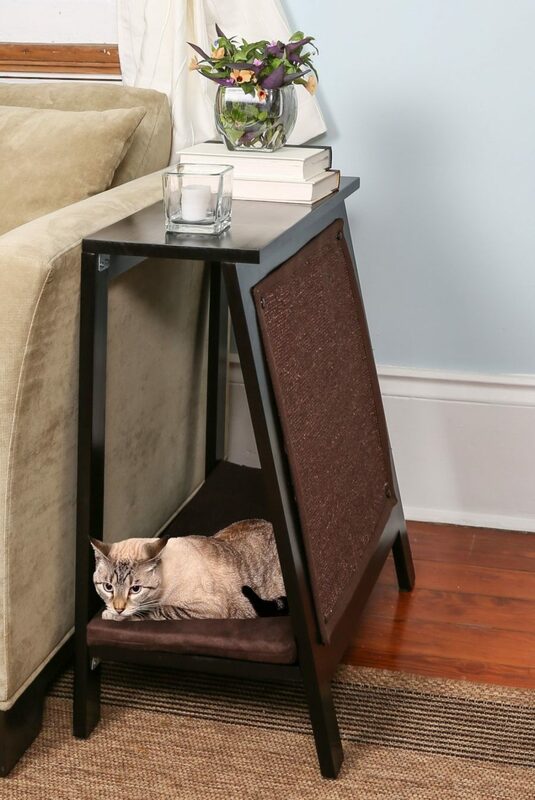 This end table from Wayfair is primarily an end table for your personal use, but it happens to be a place for your feline to rest and scratch the sides. 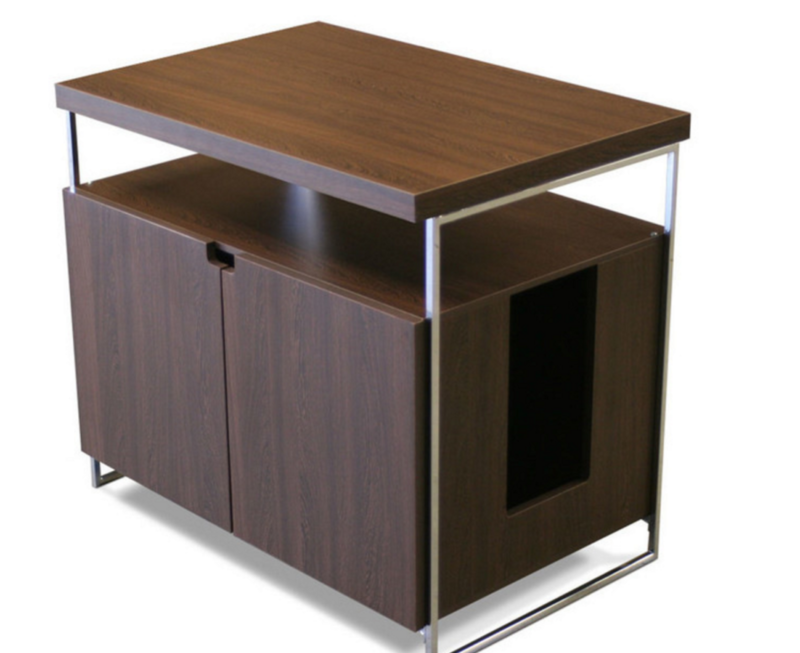 The table easily folds up for use in different rooms. 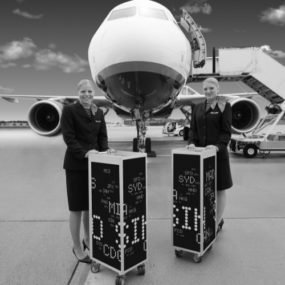 Looking for a DIY option? 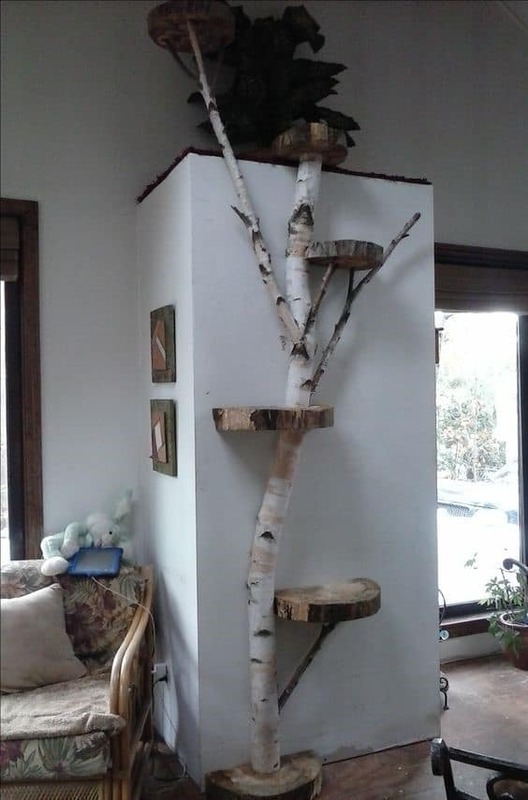 This cat tree made from birch wood is easy to make and serves as a piece of art on your walls. There is no such thing as an attractive litter box. Cat owners are forced to put these boxes in corners of the garage, in spare bathrooms, and more. 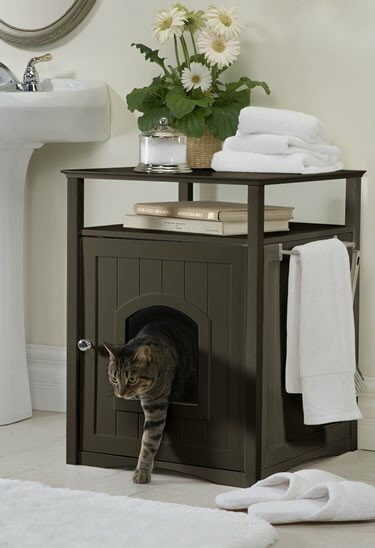 Pet Possibilities created this cabinet style litterbox for placement in your home bathroom. It has a convenient towel rack and two shelves for your own items. 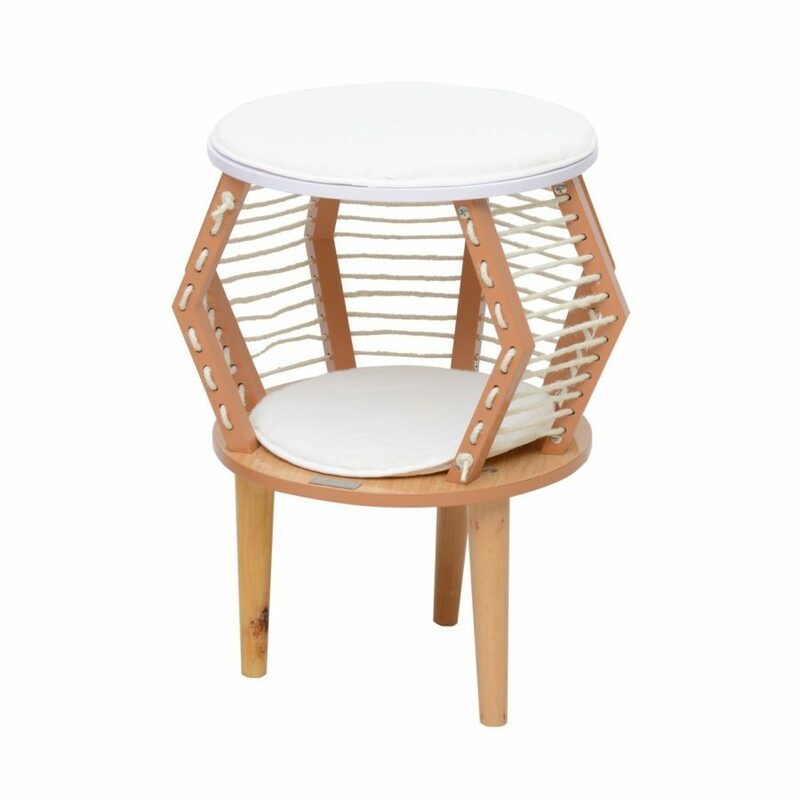 In another end table update, the Cargo Collective created this two-in-one end table. 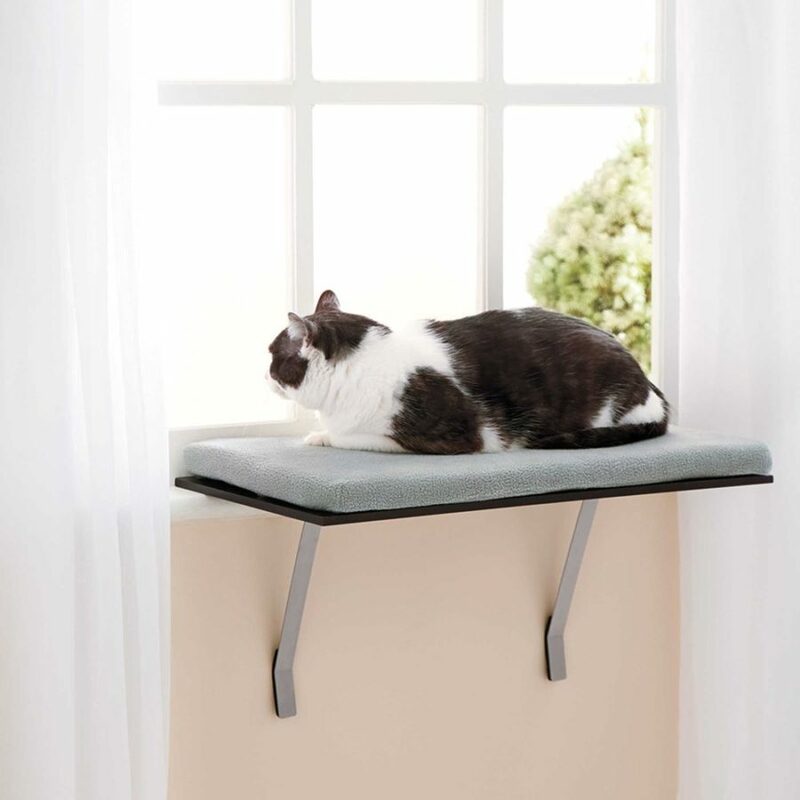 Your feline family member can sleep in the table while you make use of the top for your books, drinks, and more. Afford hours of entertainment for your feline friend with this easy to install shelf. Bed, Bath, and Beyond created this shelf that blends in to your windowsill. 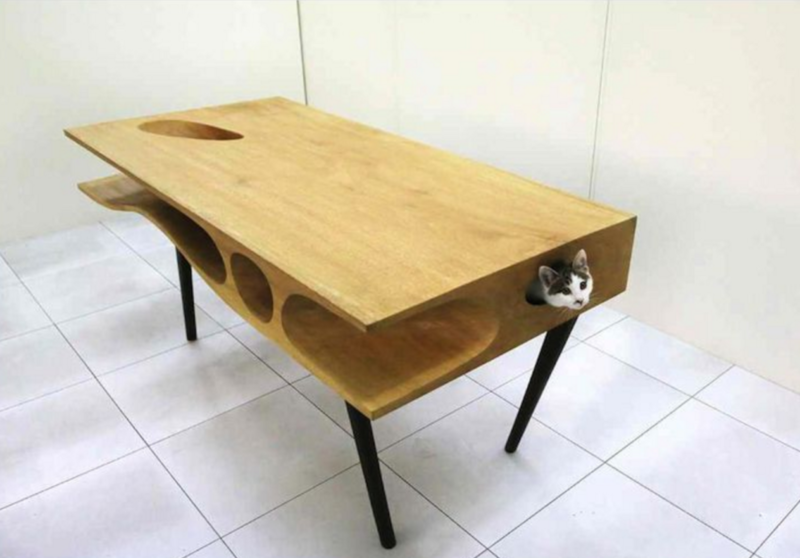 This custom piece from Jolijoli Design is a desk designed for cats. You get to use the top while your cat enjoys the tunnels! 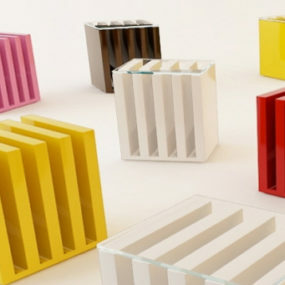 If you are a reader, add these Jolijoli Design shelves to your home. 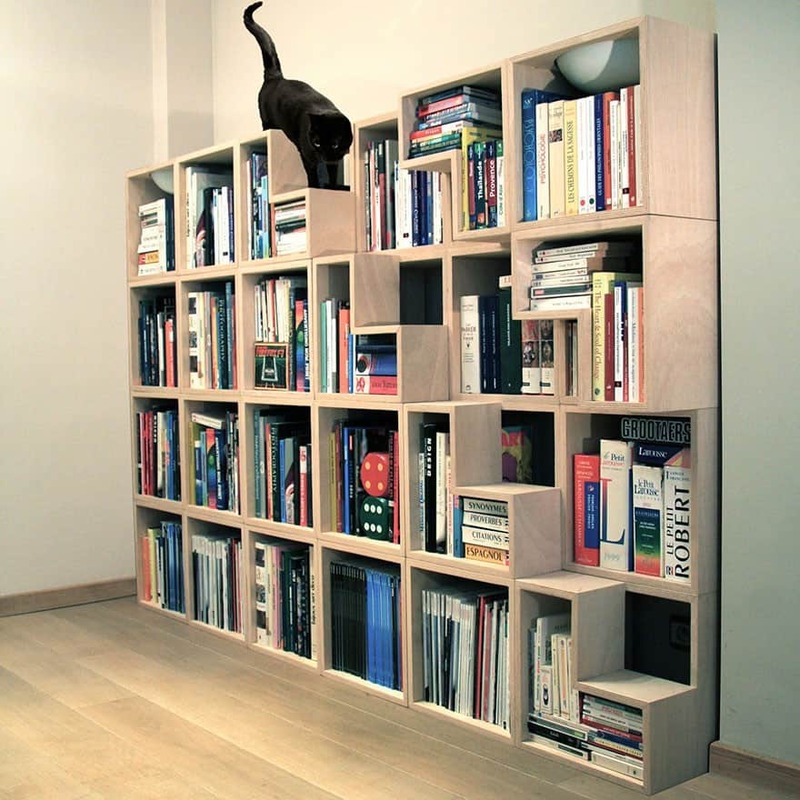 It stores all of your books while adding a unique design element for your cat to us. 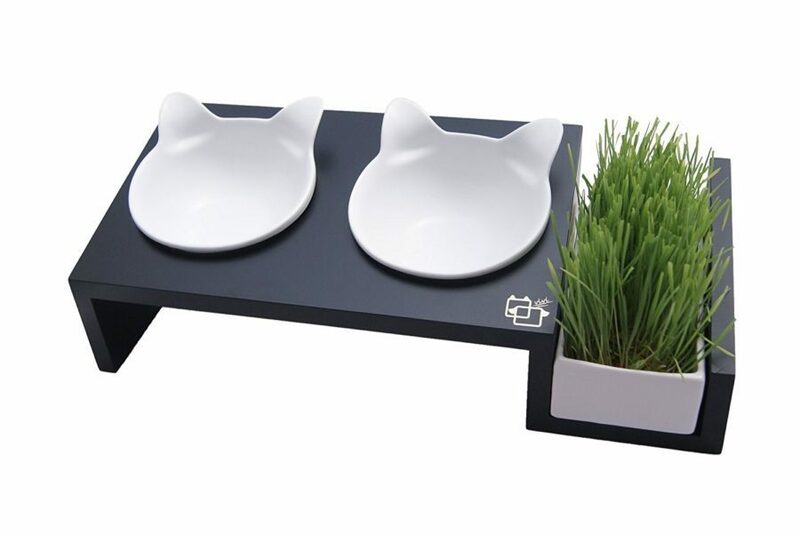 This contemporary litterbox from Houzz is made of wood and metal. 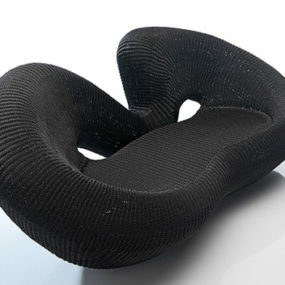 It looks like another piece of furniture but hides a major eyesore in your home. 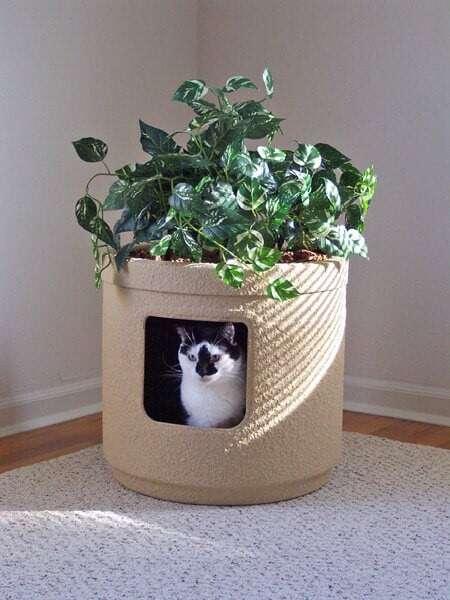 This custom litterbox from Etsy boosts the look of your home thanks to the plants above it. With the option to select which plants you want to display, complement your space with your favorite colors. 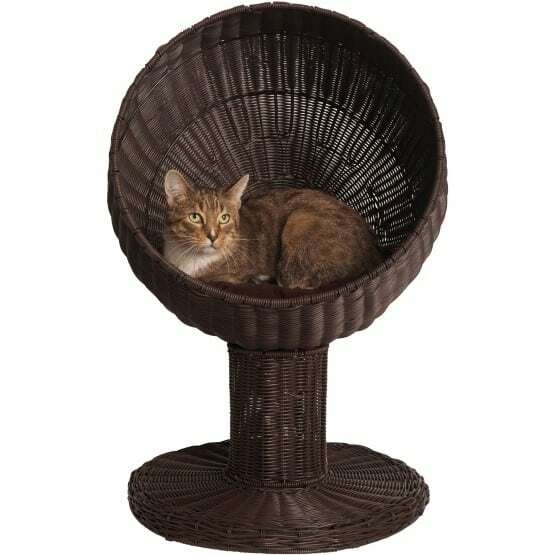 This brown pedestal from Hay Needle has a finished look for your cat to enjoy. It is perfect for your bedroom if you don’t prefer your cat to be on the bed. Whether you use this cat furniture from Jet as a footstool or an end table, it is the perfect place for your cat to hang out. 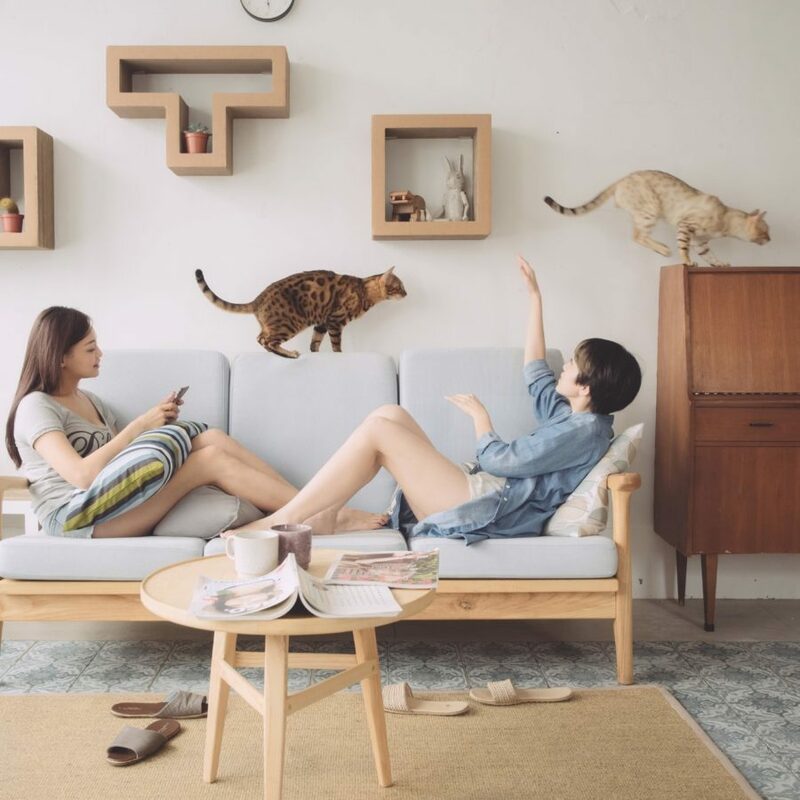 StudioJNNK designed these beautiful cat beds that serve as art in your home. 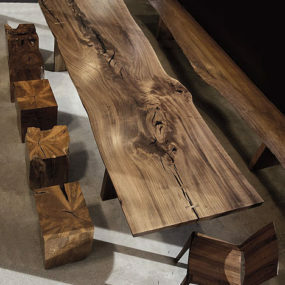 Add a few for hours of enjoyment and as a conversation piece for guests. 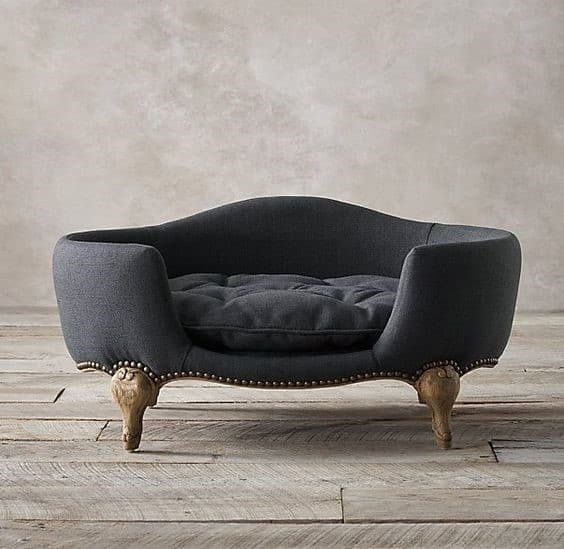 Restoration Hardware created the Antoinette Pet Bed for the most elegant of the feline species. Create a complete dining experience for your cat with these fun food bowls from Amazon. This grass helps digestion as well so your feline family member is sure to be happy after every meal. 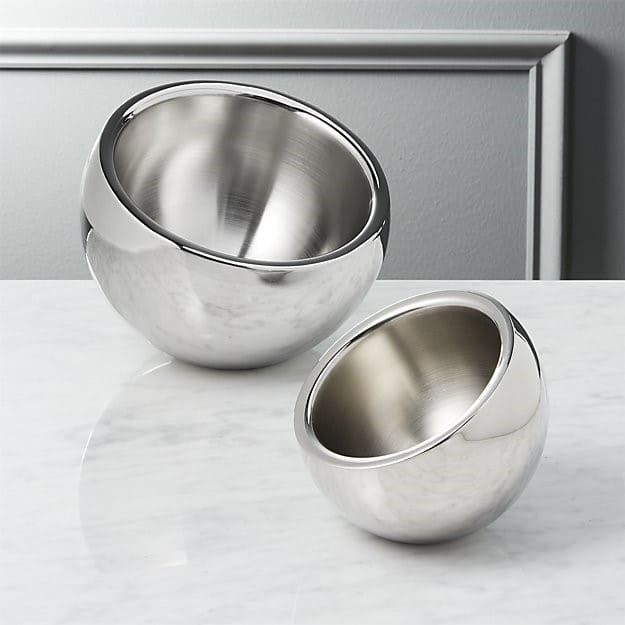 These bowls from Crate and Barrel, designed for use in the kitchen, actually function well for pet food. 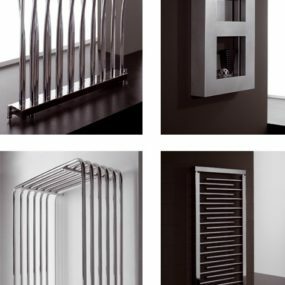 If bright colors aren’t your think, stick to a stainless steel option with a bit of flair. 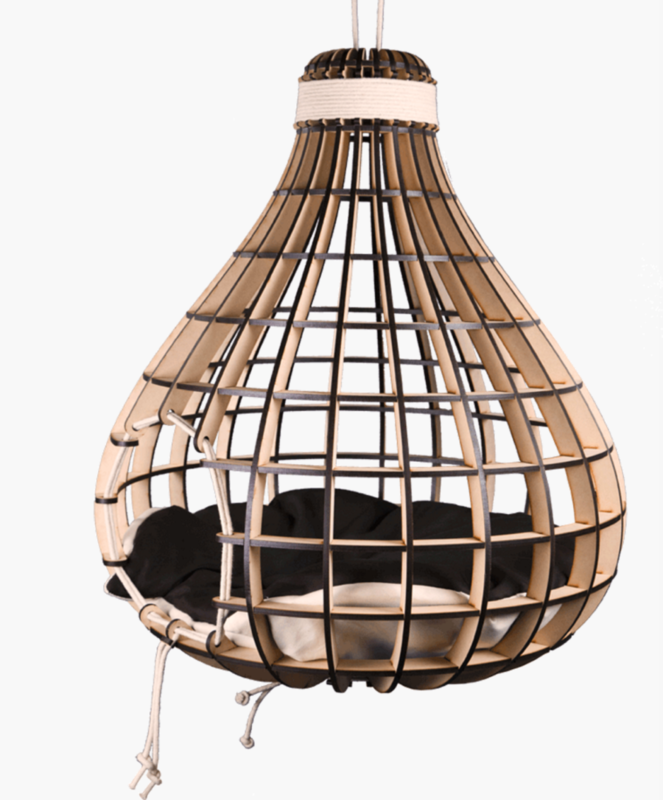 This cat bed by Kitty Craft is designed for the most adventurous of cat owners can actually hang from the ceiling. If your child loves to have the cat sleep in his or her room, set up this inviting cat bed for regular use. 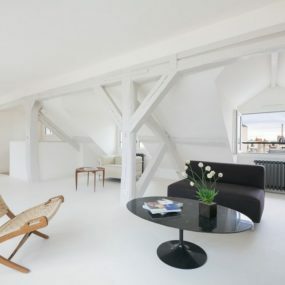 This site offers numerous awesome designs with this same design aesthetic.